On 6 July 2018 Stephanie Nebehay reported for Reuters that China, Russia and Pakistan lost their bid on Friday to weaken a U.N. resolution upholding the crucial rule of human rights defenders. The United Nations Human Rights Council adopted a resolution calling on all states to protect civil society groups from threats and intimidation, and prosecute reprisals against them. Chile presented the resolution text on behalf of more than 50 countries on the final day of a three-week session. Amendments proposed by China, Pakistan and Russia – declaring that civil society groups must respect “the sovereignty and territorial integrity of states” and that their funding must be “legal and transparent” – were soundly defeated. So, in spite of increasing retaliation against human right defenders and pressure on civil society in many countries [see recently: https://humanrightsdefenders.blog/2018/06/08/ishr-new-report-on-reprisals-and-restrictions-against-ngo-participation-in-the-un/ ], the UN is still able to resist some of the more blatant attempt to silence critics. “China and Russia are often the least tolerant of civil society at home. They are now seeking to introduce similar restrictions at the international level,” John Fisher of Human Rights Watch told Reuters. Their attempts to place national sovereignty above international human rights law “would turn guarantees of peaceful assembly and association on their heads”. “These amendments were a swing and a miss for China and its allies on the Council,” Sarah Brooks of the International Service for Human Rights told Reuters, using an American baseball term. “Their efforts to limit civil society’s independence and shut down civil society voices were rebuffed by a strong message – from member states across the globe – about the importance of keeping defenders’ voices at the table”. An archive of information and evidence on human rights abuses by the North Korean regime is to be established in Geneva. Quoting a report by the UN Office of Programme Planning, Budget and Accounts (OPPBA), VOA explained that the independent archive, to be created in accordance with a North Korean human resolution adopted by the 34th UN Human Rights Council (UNHRC), will be established in physically distant Geneva for the security and total confidentiality of sensitive information.The OPPBA was also quoted as saying a legal officer with at least seven years of experience would be needed to integrate and preserve information and evidence in connection with the archive’s establishment at the Office of the UN High Commissioner for Human Rights (OHCHR) in Geneva, along with another information management officer with at least five years of experience to conduct practical affairs. It also said its UN human rights office in Seoul would require three staffers: one international criminal system expert, one expert in South Korean criminal law, and one expert in interpreting for South Korean law. On 24 March 2017, the UNHRC adopted a North Korean resolution by non-voting agreement that recommends the international community’s cooperation in investigating responsibility in connection with the findings of a Commission of Inquiry (COI) report on crimes against humanity by the North Korean regime.The resolution suggested specific procedures and methods over the next two years for assigning responsibility for North Korea’s human rights abuses, including boosting the capabilities of the North Korean human rights office and OHCHR, establishing the archive, and appointing legal experts to collect and preserve information and evidence needed for procedures in investigating responsibility. Panellists spoke about the crucial work of ESC rights defenders in their countries, including defenders in Ethiopia protesting illegal land grabs to prevent the displacement of communities; defenders in Malaysia working towards inclusive and sustainable development and to oppose corruption; and defenders in Guatemala working to protect indigenous rights and ensuring that companies consult with affected communities. has now launched RightDocs [see announcement https://thoolen.wordpress.com/2016/02/25/huridocs-launches-rightdoc-to-improve-access-to-un-human-rights-documents/] You can try it out yourself: #RightDocs. This tool is a work in progress, so in addition to adding new features, the website and experience will improve over time. Your feedback is welcome: feedback@right-docs.org. For the record, the Resolution on the protection of human rights defenders was adopted by the plenary of the United Nations General Assembly on Thursday 17 December 2015, with 127 States voting in favour (i.e 10 more than in the Third Committee!). 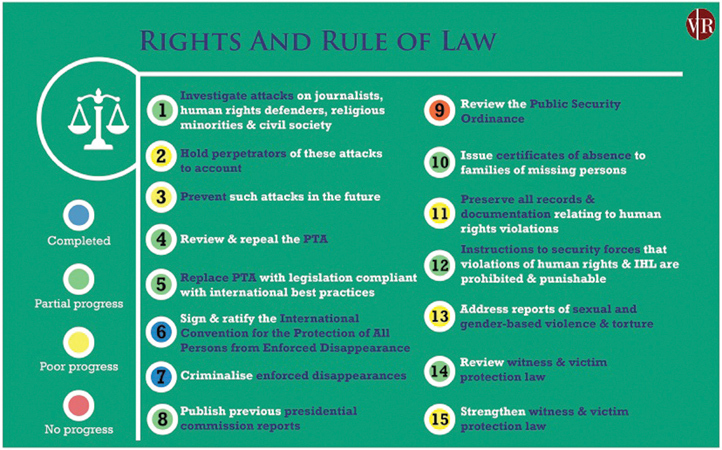 See: https://thoolen.wordpress.com/2015/12/05/follow-up-on-the-human-rights-defenders-resolution-in-the-un/. 127 States supported the resolution, including South Africa, which had voted against it in the Third Committee, while 14 States (Burundi, Cambodia, China, Cuba, North Korea, Iran, Myanmar, Nicaragua, Nigeria, Pakistan, Russia, Sudan, Syria and Zimbabwe) continue to vote against it. This list is not surprising (they figure regularly in this blog), although one would have hoped that Myanmar (after the elections) would have had a change of heart while Nigeria’s position remains a mystery.